All our properties are marketed across every major property website. A simple 1% commission – and no VAT. We don’t pass you from person to person. You will have full access to us, and not just during business hours. We take time to listen to you, appreciating every move is different. Before, during and after your sale we are here for you. No sale, no fee. If for whatever reason the sale doesn’t proceed no money is due. It guarantees we act in your best interest at all times. No lengthy tie-in periods. No complicated contracts. We accept no money in advance and require no non-refundable deposits. 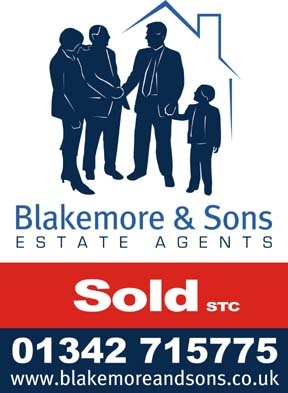 At Blakemore & Sons we understand what is important for a successful sale. You need to expose your home to more buyers. We have a large database of potential buyers waiting for properties now. You need to reach a bigger and better market. Request your FREE valuation today! Want to be alerted when a suitable property becomes available?